POLAND - Laurie Jean (“LJ”) Sproul Marcotte, 54, died Saturday, Jan.19, 2019. 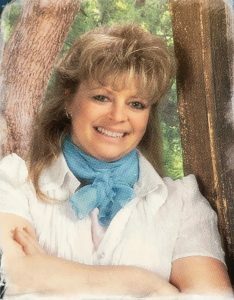 POLAND – Laurie Jean (“LJ”) Sproul Marcotte, 54, died Saturday, Jan.19, 2019, at her home in Poland, after a 2+ year fierce and brave battle with ovarian cancer. Her last days and hours were spent at home with her loving husband, parents, sister and dogs by her side. Laurie was born in Augusta on Dec. 4, 1964, the daughter of Richard Sproul and Jeanne (Pottle) Sproul of Jay. She was raised in Jay and attended Jay schools. She attended the University of Maine at Farmington, receiving her teaching degree in 1987. Laurie married the love of her life, Bob Marcotte in 1996, and they moved to their home in Poland where they built a wonderful, happy life together. Laurie was a science and english teacher for her entire career, most recently a science teacher at Auburn Middle School. She was that “favorite teacher” kind of a teacher, and she had the unique ability to connect with students at a level that few teachers are capable of. Students loved and respected her, and she was able to make a meaningful impact on the lives of many students. In addition to teaching, Laurie worked part time for many years as an aerobics and fitness instructor. She was a master personal trainer, and prior to her illness she was always fit and full of energy. Laurie loved the outdoors and anything to do with it. She hated being cooped up indoors; it would drive her crazy. She loved outdoor sports and activities throughout the year, including camping, boating, hiking, fishing, road biking, mountain biking, rollerblading, kayaking, paddle boarding, snorkeling, snowboarding, snowshoeing, XC skiing, skating……you name it…if it involved playing outdoors, she loved it and she did it. She was a leader in organizing local women’s groups for biking, snowshoeing and hiking, and those groups were affectionately named the “Biker Chicks”, the “Snowshoe Bunnies”, and the “Hiking Honeys”. She developed close and long lasting bonds with these wonderful ladies, and she will be missed terribly by them. Laurie had an infectiously bubbly personality. If you were in a room with her, there was going to be laughter, no two ways about it. She was a female “McGyver”, and when a problem or roadblock would arise, she would be well into implementing her solution with the tools she had available, while others would still be thinking about what to do next and complaining that there was no way to fix it. She was the perfect person to have on your team, because she was that rare person who had the skills to be a great leader, but she instead chose to leave the leadership role and accolades to others while she took on the role of doing the heavy lifting, getting the job done and motivating those around her to do the same. It was well known that Laurie’s favorite holiday was Halloween. She took great pride and pleasure in spending countless hours decorating her house for Halloween, in preparation for her epic annual Halloween parties. During the times when she could not go out and enjoy the outdoors due to her weakness from the battle with cancer, Laurie spent many hours crocheting 300 hats for cancer patients, and 50 little red hats for sick children. Laurie’s intense love for her family and her tenacity at achieving her goals were displayed in her fight against this terrible disease. She was given a terminal diagnosis in September, with an estimated eight weeks to live, and she decided that instead of laying down and giving in to the cancer, she was going to continue to fight it with everything that she had. She endured emotional and physical pain and suffering the likes of which would have brought the strongest of men to their knees in tears, and she did it all without complaining and without giving up hope. You hear the term “she was an inspiration” mentioned a lot, but Laurie truly was inspiring to the army of supporters who kept track of her cancer journey through the CaringBridge website. Her husband Bob never had a hero before, but Laurie’s desire to endure unspeakable pain and suffering in an effort to spend more time with him has made Laurie his true hero. Laurie’s greatest passion was being a volunteer and a foster care provider at Greater Androscoggin Humane Society in Lewiston. Laurie’s love for animals, particularly dogs, drove her to contribute a significant amount of her time and effort in helping the humane society. Over the years, Laurie provided foster care for 59 dogs. In honor of Laurie’s contributions to the humane society, a fund called “The Daisy Mae Fund” was established in the fall of 2018, and the fund is dedicated to providing life saving medications for animals at the humane society. In addition, Laurie’s gal pals purchased a bench that will be located at the humane society, and the bench has a plaque that gives a tribute to Laurie for her service. Laurie is survived by her loving and dedicated husband Bob; and her two “children” Tucker (Golden Retriever) and Lily Bear (Pom-Chi) of Poland; her parents Richard and Jeanne Sproul of Jay; and her sister Lisa Gallant of Jay. The family wishes to thank Laurie’s army of supporters who gave her strength and determination throughout this long battle, as well as the staffs at Maine Medical Partners and Cancer Treatment Centers of America, and last but not least the caring and compassionate staff of Androscoggin Home Healthcare & Hospice. Visiting hours are Saturday Feb. 2, 2019 from 9:00 a.m. to noon at Pinette Dillingham and Lynch funeral home, 305 Alfred A Plourde Parkway, Lewiston. A Catholic service will be provided at the funeral home at noon. At the completion of the service, guests will be invited to a celebration of life gathering and meal at a location to be determined.